Official Look at the Nike SB Dunk Low "Blue Moon"
Nike SB continues the monochrome trend with the latest Nike SB Dunk Low Pro "Blue Moon" colorway. The first of many solid colorways dropping this winter. 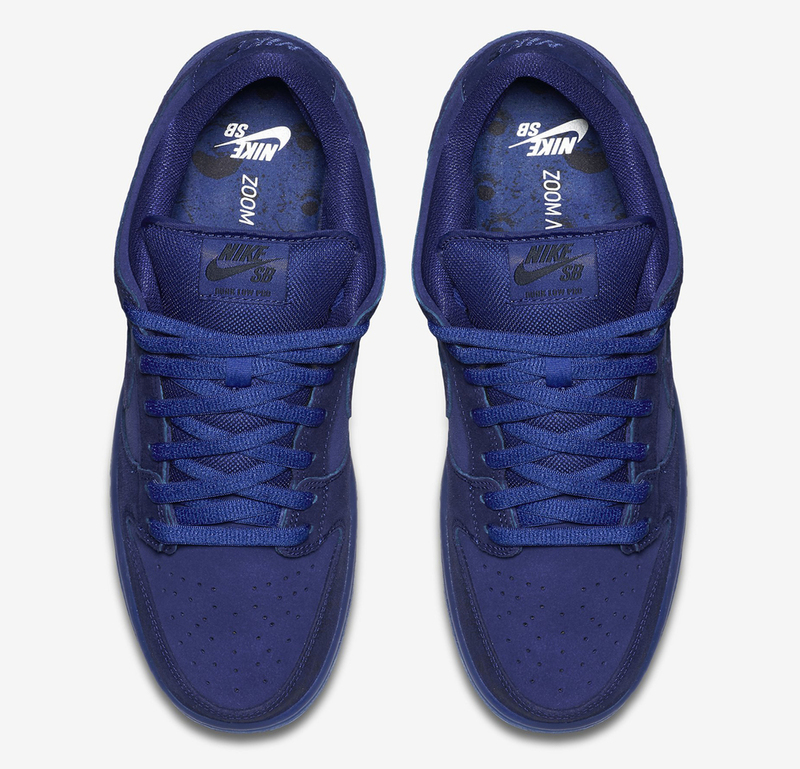 The classic Nike silhouette features a rich royal blue full-suede upper and a lunar landscape insole detailing, giving the shoe a very simple yet perfect look. The Nike SB Dunk Low Pro "Blue Moon" is rumored to release in November 2015. Follow @SneakerShouts for up to date release info.